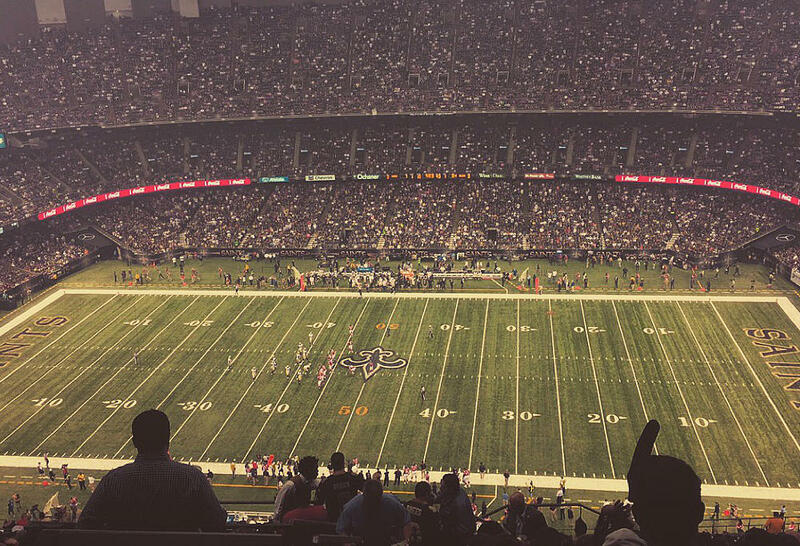 There is nothing like attending a New Orleans Saints game at the Mercedes-Benz Superdome. The city lives and breathes Saints football, and the black and golds dominate the front and back pages during the season. Having resided in the ‘Big Easy’ for over four years, I cherish the excitement of game days and passion for the sport. Although I was an NFL fan before moving to New Orleans, my experiences here have elevated American football’s standing in my list of sporting passions. There is something profoundly special about the way the Saints fans celebrate their team on a weekly basis. The fandom is addictive, and it’s hard not to immerse yourself in the game day experience. 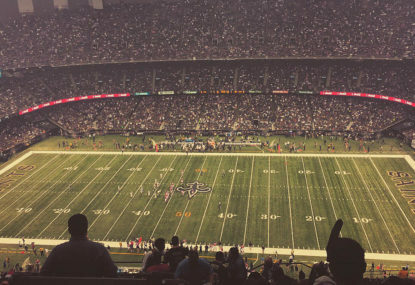 The Dome is almost always sold out and the noise generated by members of the 80,000 strong ‘Who Dat Nation’ is uniquely chaotic. Having watched sport all around the world, I can safely assert that nothing compares to the game day experience in New Orleans. Tailgaters begin arriving at the empty parking lots surrounding the stadium complex at sunrise on game day, setting up their trailers, speakers, barbeques, televisions, tables, chairs and food trucks for family, friends but also for fellow Saints supporters. The beauty of these tailgates lies in the camaraderie between people of all races, colour, and socio-economic backgrounds. New Orleans embraces the weird and whacky, but also appreciates the normal. You don’t have to be a voodoo-lover to fit in: it truly is a team for all. The team itself, led by Drew Brees, plays an exciting brand of football and is enthralling to watch. The veteran quarterback is energetic, smart and loves throwing the football. The receivers are fast and dynamic and any one of them could receive the ball on any given play. 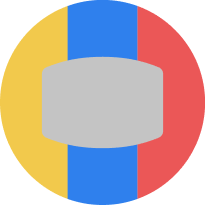 The spontaneity of the offence generates an unparalleled excitement among the fans as a standard lateral pass play is turned into an epic and unconventional trick-play downfield for a touchdown. The team’s exciting style of play perfectly encapsulates the city’s aura, and this makes Saints games a must-watch on Sundays. Much can be learnt from the way the Saints organisation has made the community an integral part of the team. Most sporting codes in Australia have neglected to capture the minds of the public. What is often overlooked is the size of the city and percentage of people who are involved in supporting the team. The people here live for football and the vast majority of the 380,000 people must watch the Saints games. Every bar and living room is packed with people of all ages dressed in Saints jerseys. The reasons for this aren’t entirely obvious, but the obsession for the team lies in the way the organisation has embraced the culture of the city. For teams in Australia, the most obvious comparisons can be drawn to the Western Sydney Wanderers in the A-League. Just imagine their passion multiplied by one hundred; the Saints fans are absolutely and wonderfully crazy. I strongly encourage all visitors to New Orleans to experience the aura of a Saints game day. It’s like nothing else in the world. Who Dat! 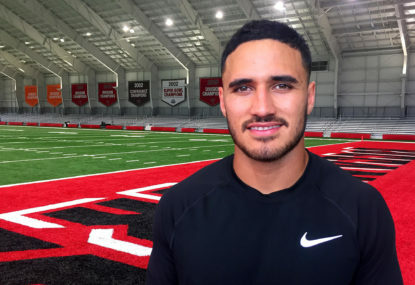 Take it from an American: Valentine Holmes has the ability to make it in the NFL. Anyone writing off Valentine Holmes’ chances of making it in the NFL needs to back off. He’s every chance of cementing a place for himself on the New York Jets playing roster. So, it’s official. 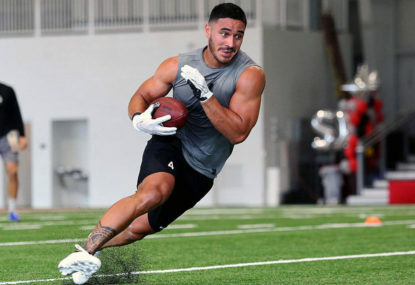 Former NRL star Valentine Holmes has made the grade in the NFL’s international players pathways program and has a deal with the New York Jets. Predictably, social media has blown up. Former NRL star Valentine Holmes has officially been signed by an NFL franchise, with the New York Jets confirming they have added the ex-Sharks back to their roster. Valentine Holmes’ bold decision to walk away from the NRL and a new $5 million Cronulla contract is about to face a crucial test when scouts from all 32 NFL teams put him under a microscope. 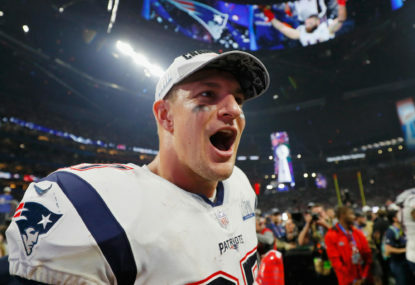 New England Patriots tight end Rob Gronkowski has announced his retirement, ending one of the NFL’s most dominant and colourful careers.